Mrs Penn, was the featured guest on Mrs Karia J. Christopher’s CBN Channel 51 talk show, “Real Talk – Virgin Islands 10 Most Inspirational Women for 2016” aired on February 7, 2017. 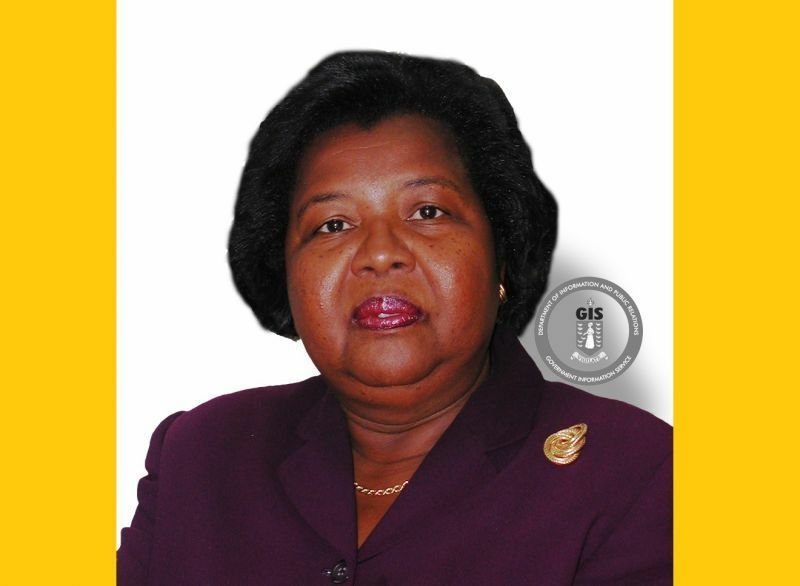 Those words followed Mrs Christopher seeking her guest’s view on the state of affairs in the Virgin Islands Party (VIP). “We have a great deal to do. We are part of the international community, we have our financial services to grow, our financial services to protect, our tourism product, we have a lot of social issues in our country, health, health care, infrastructure,” Mrs Penn pointed out, as she also alluded to the literal non-existence of ‘fresh air’ in the streets of the VI. “Often, I drive with my window up, but the windows were open last night. I didn’t smell that fresh air that we use to have. I believe that the persons on the political stage really need to step back. We all have a duty to work for a more united country, a more progressive country and to provide a way in life for the youths,” Mrs Penn stressed. 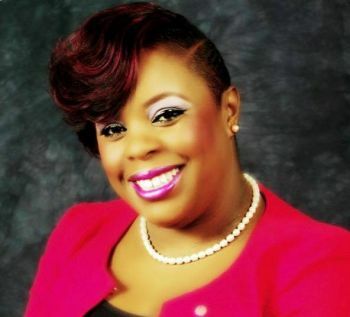 R. Dancia Penn for Government again? Responding to the question whether she feels there is still a life in politics for her, Mrs Penn responded, “Karia, I love this country in a very deep and profound way. It’s been very good to me, it’s been very good to all of us, it’s been good to the world I like to believe….And I was very fortunate to grow up and raised in a community at a time where we had leaders who really paved the way for us and for my own life I would value the importance of a good government. Of a good government that looks out for the people of the country especially for the young people of the country. I agree that Dancia is honourable and looks good on paper but she won'd do the work! In this time we need some honourable people who can work hard to save this economy in the most trying times. The world is not about ceremony anymore. It needs real solutions and we need a premier who can give it to us. Unfortunately, that's where the world and the BVI is right now so we need to get in line. Then let her join you Sowada. Then I will wait to hear you complain about her in the blogs. We really in need of good leaders bad bad. We had high hopes in Dancia but she failed us big time. I don't know what makes her inspirational..
She knows better not to go and damage her reputation between them Snakes. Furthermore, them mashup the darn party. In the Bizzaro world, that is. This is a fake and a bigget show, just like the host and the guest. She needs to find the single moms that raise 5 kids all by her self. Sent 3 to university all by herself.. thats real inspiration. Those are our true women heroes.. Not those lloosers she trying to big up. Did you vote, did you email or submit your suggestions in anyway? Stop hiding behind the blogs and make your POSITIVE contribution. Mrs. Christopher is living her life and looking damn good doing it. You should get inspired and live your life from being a sour puss. I bet this is a woman being a hater. Excellent show Karia! I really enjoyed this and Mrs. Penn was stellar. If Donald Trump that 4 year olds can call and identify by name and person run this country, then I will get up and run to save my country. Allyo does write piss on these sites nuh. We will make BVI great again. We don't need his or his likes help. I want to be the First Female Premier -- first in everything but last to do the Government's work. These are serious times for the future of our country. No time to play with words, Mrs. Penn. Let us elect those who will pave the way for the next generation as they did for you. If you are serious, jump in the ring, not at the last minute like you did last time. Last man is an undecided man. Nice person, bad politician not good for the country. What it aaaa? What did she do? Blame the secretary when her work wasn't done? Undoubtedly, the VI is at a crossroad. It is like a ship with a captain but still adrift and plying the seas aimlessly. Its destination is unclear so any port may be the destination. It is hungry for and urgently in need of a leader to set the destination and chart a course for getting there. Both major parties, NDP and VIP, are not firing on all cylinders. The territory needs a Mandela, Joseph, Lee Kyan Yew,Noel......etc to lead the country from the desert into an oasis. Former D-8 rep, AG and Deputy Governor is an admirable paper tiger. But her record of getting things done is still a work in progress. Dancia, if she wants to progress in the world of politics, must change her leadership and mangement style to enhance her effective. She must become a tireless candidate who is not leaning on her record but commited to sacrifice for the public good. During her short stint in the HOA, she didn't take charge. She was the Deputy Premier yet she let herself be bullied by other colleagues (Ralph let it happened). She was beaten by the Hon Marlon Penn because she under performed for her district. D-8 is the gateway from the airport to other parts of Tortola but it looked horrible. It was not aesthetically pleasing. She did not bring the bacon home. The first rule of politics is that you got to take care of your base. She did not do that. Furthermore, she ran at large last election and though she had a good platform she started too late and depended too heavily on electronic campaigning. She needed to start early and wear out some tennis shoes over the length and breadth of the territory. Need to decide if she want she to run for political office or not. If she wants to run, she needs to markedly improve her retail politics. The big question does this matter? will she do anything beside talk talk talk? How all of a sudden them coming out of the woodworks and from their slumber to smell and see what not cooking? Pleaseeee..
Former attorney general, deputy governor and D-8 Rep is an intellectual heavy weight but a political light weigh. She has great potential but underperforms, performing way below expectations. More action and concrete results are needed; too much talk. If one wants to be in the political arena, one cannot be half stepping; one has to be all in and fully engaged for the public good. A political candidate got to be available; it requires much sacrifice and if one does not want to work and be bothered leave it alone. One cannot have limited office hours. One has to be available 365/24/7. Danvia needs to either fish or cut bait or be either fish or fowl or sh.....t or get off the pot. There is no time for vacillating. The BVI is in crisis. Danica claims she is not part of any organized party. However, this one man band charade is out of vogue. A serious candidate must align him- or herself with a credible party. There are exceptions to the rule, of course. As always, let's soar as eagles and not be led off the cliff like buffaloes. Women of the BVI were the homemakers and baby makers of yesteryear, we have come a long way since then – but even in 2017, there is still a mighty long way to go. Political life is not easy for everyone –but our representation at various levels is minuscule or sometimes non-existent. This means that when it comes to making decisions that affect us, women’s voices are not heard equally. The BVI needs more female public and political figures because women bring something to the table – a unique perspective that will help make better policy and that should be what it is all about. Too many women wait to be asked to get into politics. Then when they are asked, they ponder it and examine it – and wonder if they are smart enough. Men do not question their talent at all. They see the opportunity, and they are off and running (even when they don't have a donkey's clue about what they actually doing). It is time to start a new conversation! The culture will not adapt until enough women are in leadership to change it. So there must be a greater effort and focus placed on making this happen. Empowered women can do a lot of things. So women like Dancia need to be the change. It will take more women at the top to make the changes that are needed to get more women to the top – you cannot be what you cannot see! Why does this matter? It matters because women bring a unique experience to the political arena. Their life experiences are different from men’s and their perspectives on issues can be different. This serves to enhance the quality of the debate and broaden and balance the perspectives on a wider range of issues of importance to not only women but everyone. It does not mean that women have a better perspective than men – just a different perspective.